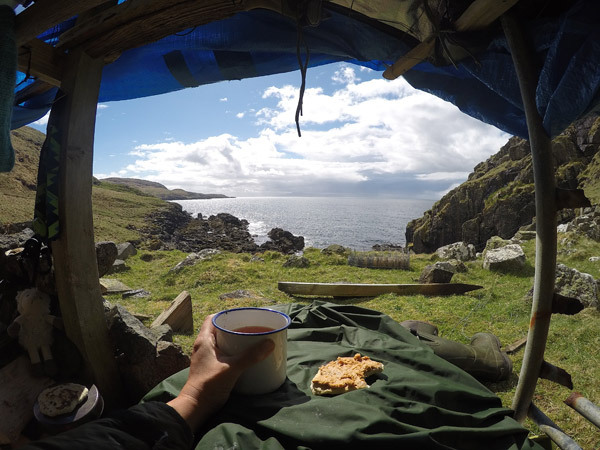 No 476 – 40 Days and 40 nights solo on an Island – The Outdoors Station "UA-92084833-1"
Katie Tunn is an artist who follows her dreams. First to escape from bustle of London to remote peace of Skye, to reduce the consumerism in her life and absorb the rich island culture. I can almost see my house from here! And now this. 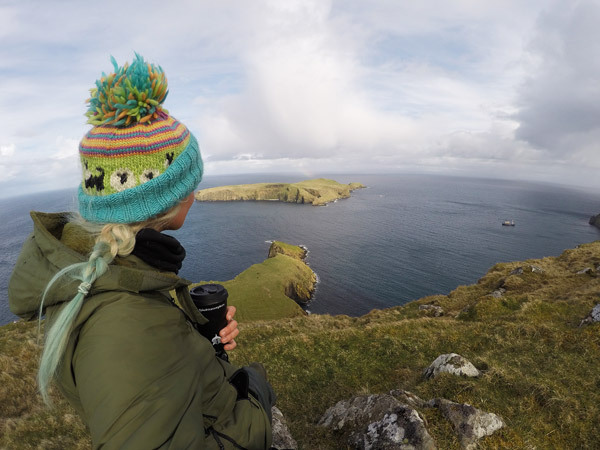 A personal 40 day and 40 night challenge to live on a remote island, with no one but the wildlife to keep her company. To cleanse her soul of the daily bombardment of information. To seek inner peace and find her inner voice. Something very few of us I suspect will ever be lucky enough to hear in our lifetime. The Shiant Isle consist of The main islands are Garbh Eilean (rough island) and Eilean an Taighe (house island), which are joined by a narrow isthmus, and Eilean Mhuire (island of the Virgin Mary) to the east. Eilean an Taighe was called Eilean na Cille (island of the church) prior to the 19th century. Together they extend to 143 hectacres (350 acres) and are privately owned. At the beginning of the twentieth century, the Shiant Isles had a population of eight. The author and politician Compton MacKenzie owned the islands from 1925 until 1937. He was an island lover who, at different points in his life rented Herm in the Channel Islands. He never lived on the Shiants, but paid several brief visits during his time as owner. In 1937 the islands were acquired by Nigel Nicolson, then an undergraduate at Oxford, from monies left to him by his grandmother. Like MacKenzie, Nicolson was later a writer, publisher and politician. Nicolson’s son, the writer Adam Nicolson, published the definitive book on the islands, Sea Room (2001). The Shiants now belong to Adam’s son Tom Nicolson. 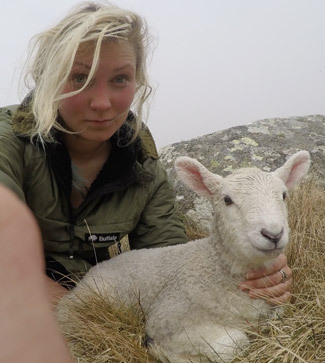 Some of the sheep that have grazed the islands since the early 19th century were removed in the summer of 2016. The simple bothy restored by Nigel Nicolson on Eilean an Taighe is the only habitable structure on the islands. A visit to the islands is described in The Old Ways by Robert Macfarlane. Katie is an environmentalist and a vegetarian so she didn’t go with a view to living off the land. Therefore as you’ll hear she equipped herself with basic food and equipment for most eventualities. That said, the weather conditions at that time of year (as we know from the Skye podcast we recorded early May in the same year) are not the most welcoming. However Katie enjoyed the most rewarding, refreshing and invigorating time of her life. So much so she wants to do it again, but with less gear this time! Re the Kickstarter campaign I mention at the beginning of the podcast. The Nebos Ultralights are a simple 54gm sandal which could be useful for outdoor users looking for a camp shoe which doesn’t bulk out their pack. Loved listening to this. Thanks Bob & Katie.